From left are Ryun Hoffert, Jason Benyousky, Finn Bailey, Robinson Hoffert and Keller Bailey. 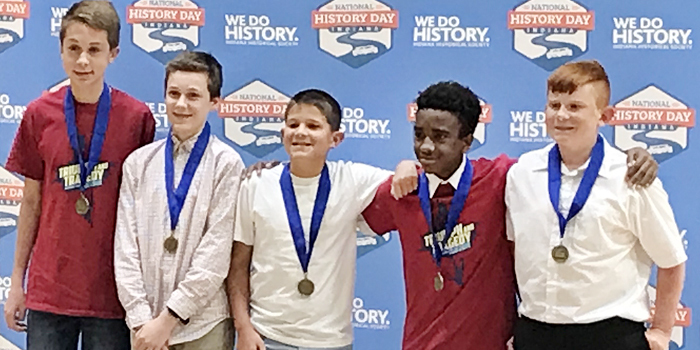 WARSAW — A group of middle schoolers with the Warsaw School Corporation will now prepare to enter the national arena of fledgling historians after capturing state honors for the fourth straight year. The 2019 national contest will be held June 9-13 at the University of Maryland, College Park, Md.